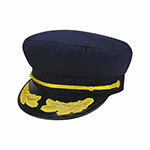 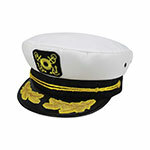 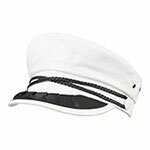 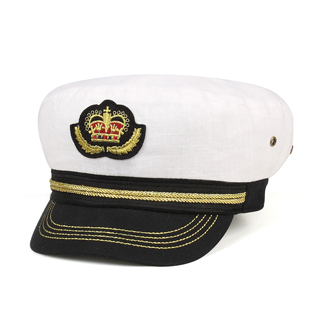 Linen captain hat with metallic embroidered patch, metallic stitching in bill. Available in in small, medium, and large. 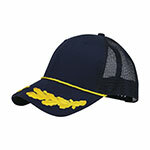 You can find this product from our catalog at page	51.